Finance Minister Arun Jaitley presented the Union Budget 2017-18 in parliament today. At the onset, he announced that the government’s focus is on spending more on rural areas, poverty alleviation and yet maintain best standards of fiscal prudence. 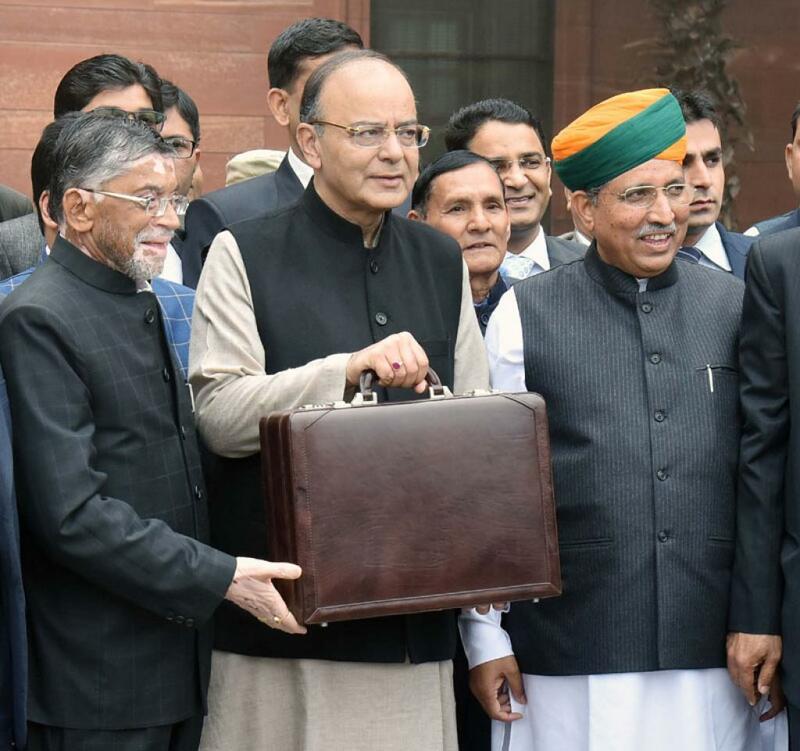 While laying bare his government’s agenda, Jaitley said that the objective of this year’s budget is to transform quality of governance and energise various sections of society. The MGNREGA has been reoriented to support the commitment of doubling farmers’ income. About one million farm ponds are expected to be completed by March 2017 against the targeted 500,000 farm ponds. All health sub-centres will be changed to "Wellness Centres"
Maximum amount of cash donation that a political party can receive from a single source will be Rs. 2,000.